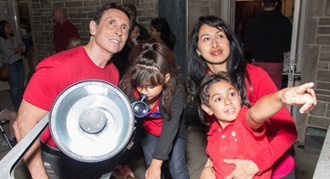 The Centre for Planetary Science and Exploration in collaboration with the Department of Physics and Astronomy and Royal Astronomical Society of Canada - London Centre will be hosting a special event on Asteroid Day (June 30th). Asteroid Day is a global awareness campaign where people from around the world come together to learn about asteroids and what we can do to protect our planet, families, communities, and future generations from future asteroid impacts. Asteroid Day is held each year on June 30, the anniversary of the largest impact in recent history, the 1908 Tunguska event in Siberia. Social Media: Tweet your pictures with the #AsteroidDay and #WesternU hashtags. Follow the event on Facebook. W.G. Colgrove was Cronyn Observatory's astronomical model-maker extraordinaire, for which he was awarded the highest honour of the Royal Astronomical Society of Canada, the Chant Medal. What is possibly less well remembered about Colgrove is that he saw the famous Dresden meteorite when it was still a meteor streaking through the sky. 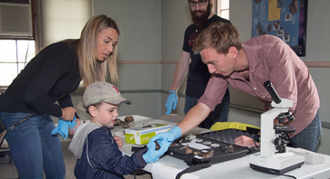 Learn a little more about Colgrove's role in the Dresden meteorite story, how the Dresden meteorite came to Western, and why there is now a third Dresden meteorite in preparation (in 3D printed form!). Meteorite Expert on site - have a rock you think might be meteorite? Bring it to our expert and find out!